We hear how Mostar — after suffering intense damage in the Bosnian war — has become an attractive tourist destination on the Adriatic cruise circuit, and get an update on its ongoing efforts to bridge old conflicts. And author Mark Adams divulges the four spots most likely to have inspired the legend of Atlantis. Plus, a Welsh tour guide describes the highlights of convivial, rejuvenated Cardiff. Cameron Hewitt, co-author of the Rick Steves Eastern Europe and Rick Steves Mediterranean Cruise Ports guidebooks. The last daily admission to Cardiff Castle is at 5pm. St Fagan's National Museum of History is the open air folk museum that Rick and Martin recommend. It has free admission. Tintern Abbey is the best-preserved medieval abbey in Wales. The four locations Mark Adams explores as the possible location of Atlantis are Agadir on the Atlantic coast of Morroco, the Greek island of Santorini, the island nation of Malta, and Coto Doñado National Park in southern Spain. 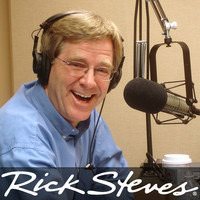 Mark Adams also joined Rick on Travel with Rick Steves program #480 in April 2017, to talk about his trek to Machu Picchu in Peru. Rick writes about his visit to Mostar. Cameron Hewitt includes photos of Mostar on his blog entry about the city.